You do not need to spend a fortune on the best bike. It is entirely up to you how much you want to spend, but the most basic bike is all you need to get started. 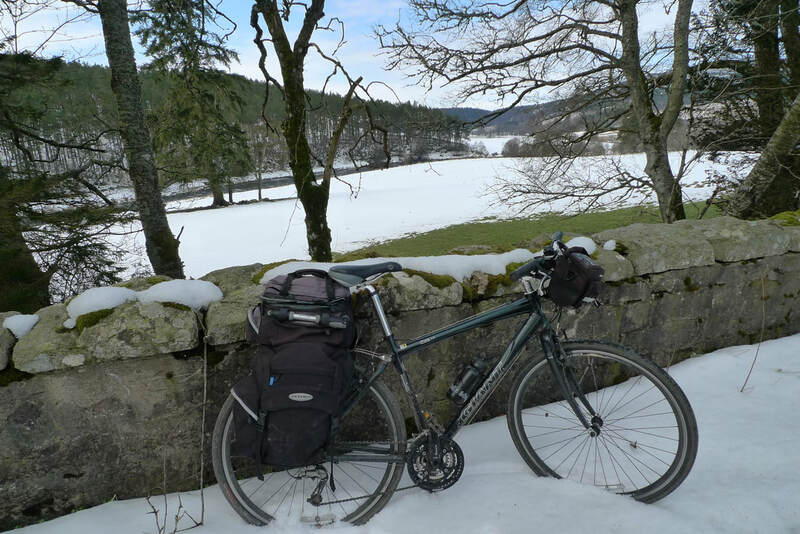 Tom Allen, an adventure cyclist, managed to get a complete touring bike with luggage and accessories for £25.17. The main thing is to get out there and explore and the most basic set of wheels is all you need to start your adventure. For the type of cycling that I write about I recommend a touring bike or a hybrid bike. These bikes give the best versatility in terms of terrain that they can handle and their ability to carry luggage for overnight trips. Touring bikes are particularly good for getting up hills as they have an excellent range of gears. If you are only ever going to cycle on tarmac roads and unlikely to need to carry luggage then you could go for a road bike. If mountain paths, forest trails and off-road cycling is more your thing then a mountain bike is your best bet. Many bicycle shops offer interest-free credit, so that you can pay off a new bike with a monthly direct debit with no interest charge. I did this with my most recent bike at Evans Cycles. Look out for sales at bicycle shops where last year's models often get heavily discounted. You could try signing-up to their newsletters so that you get an alert to a sale. Like other retail businesses many cycle shops will have these sales in January. Check if you employer is part of the government scheme that offers tax-free bikes for cycling to work. There are many shops that sell secondhand bicycles, such as the Bike Station which has shops in Edinburgh, Glasgow and Perth. 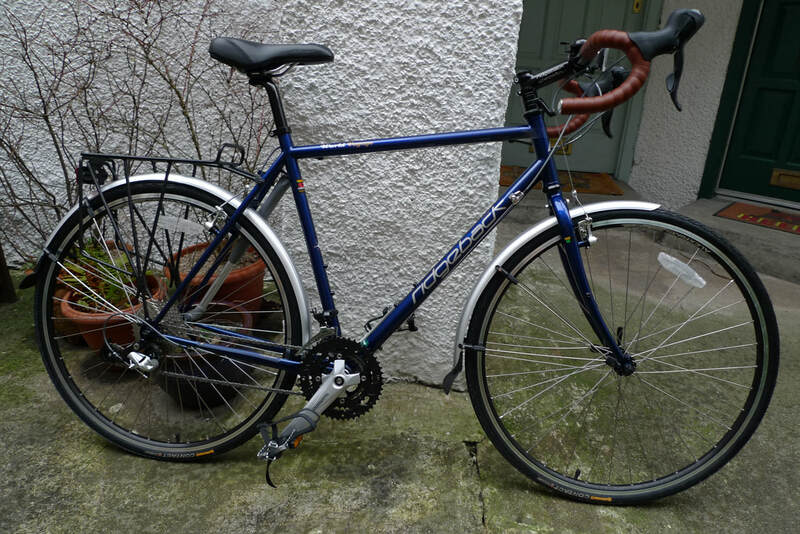 Try Gumtree or Ebay for secondhand bikes. I use a touring bike because touring is the main type of cycling that I do. Touring bikes are specifically designed for travelling long distances whilst carrying luggage. They have an extensive range of gears to help with getting up hills. They usually have steel frames which makes them strong for carrying luggage, less prone to damage and easier to repair, but can make them heavier and slower. My Ridgeback has been a dream ride and has never let me down. I don't find it to be too heavy when it comes to lifting it on and off trains. I don't really need speed because my cycle trips are all about the places and I want to be able to take in the sights, however when I need to go fast the Ridgeback does a good job. It handles really well, even when fully loaded with luggage, and all it takes is the gentlest of movements on the handlebars to make it turn corners. ​Read my blog about what it was like when I first started to ride this bike and get used to it. A hybrid bike takes features from both road bikes and mountain bikes. They are not as fast and light as road bikes, but they are faster and lighter than mountain bikes. They are more robust and better on off-road surfaces than road bikes, but are not the best option for dedicated mountain bike trails. They can be adapted to carry luggage by fitting a pannier rack and are robust enough to take the weight of luggage, so can make a good choice for cycle touring.